Розмір цього попереднього перегляду PNG для вихідного SVG-файлу: 800 × 533 пікселів. Інші роздільності: 320 × 213 пікселів | 640 × 427 пікселів | 1024 × 683 пікселів | 1280 × 853 пікселів | 1200 × 800 пікселів. 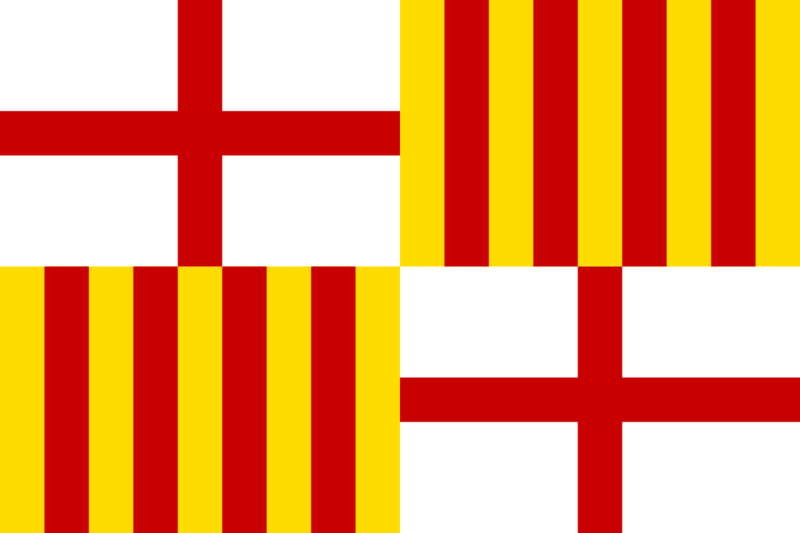 English: Flag of the city of Barcelona. Français : Drapeau de Barcelone. Italiano: Bandiera della città di Barcellona. Nederlands: Vlag van de stad Barcelona. The image cannot be used in a composition of images (including logos of organizations, unions, private associations or political parties). The image cannot represent something other than the local entity. 11:44, 18 липня 2008 600 × 400 (6 КБ) Nethunter Modified colours to FIAV.